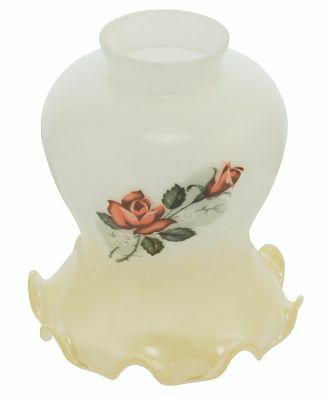 White opal shade with flower designs on the sides. Beautiful 2 1/4" glass shade. Fitter Size = 2 1/4"